I am six bullets and a strap away from completing Vera! She’s turning out gorgeous and I am super proud of it already. Almost there, almost there! She’s reinforced with wooden dowels, weighted with ceramic baking beads (to balance the shorter end with the longer, bulkier front) and filled with upholstery foam. I have the cargo trousers and shirt ready to go as well, so the costume is getting towards completion. I would like to try to crochet the holders, gun, knife and gloves as well if I can get them done in time. 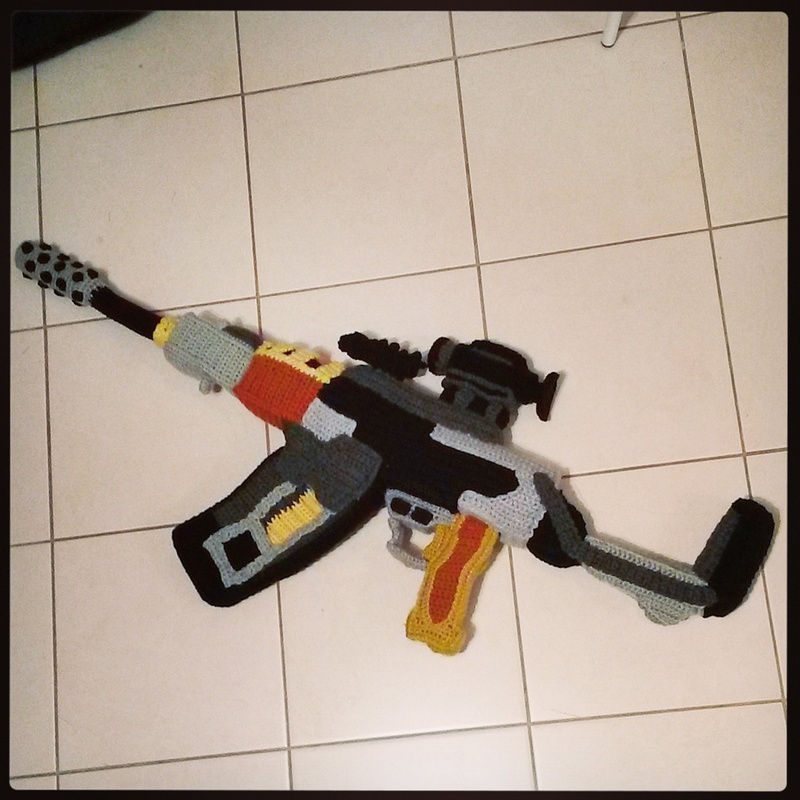 This entry was posted in Blog, Crochet and tagged cosplay, crochet, firefly, gun, jayne, serenity, vera. Bookmark the permalink.